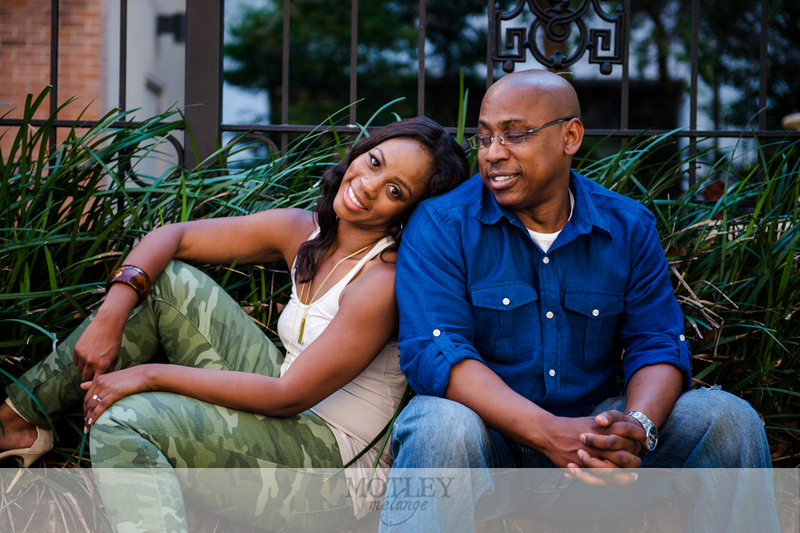 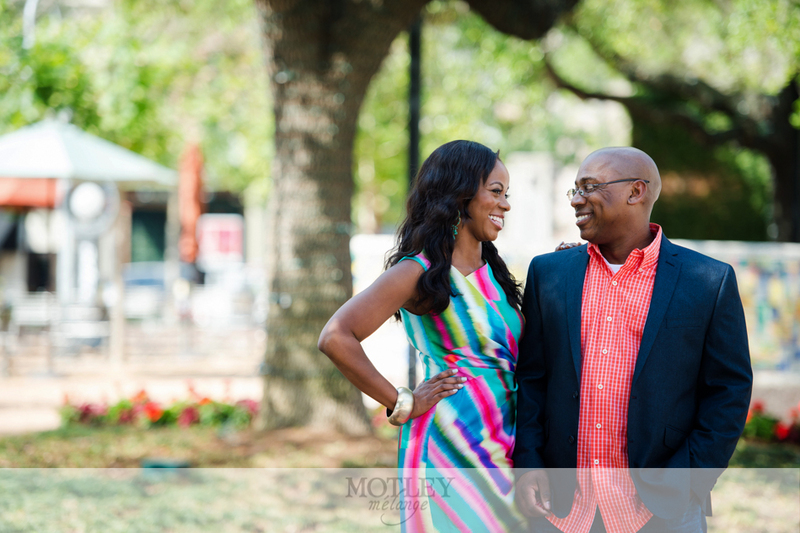 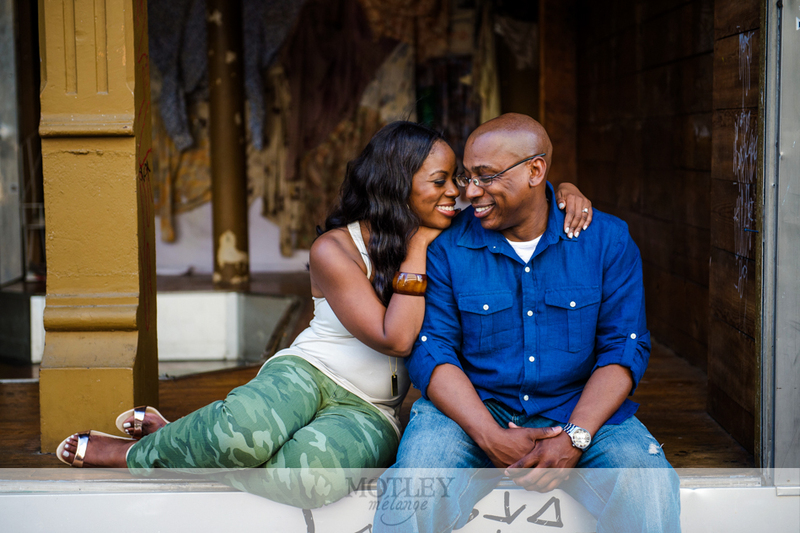 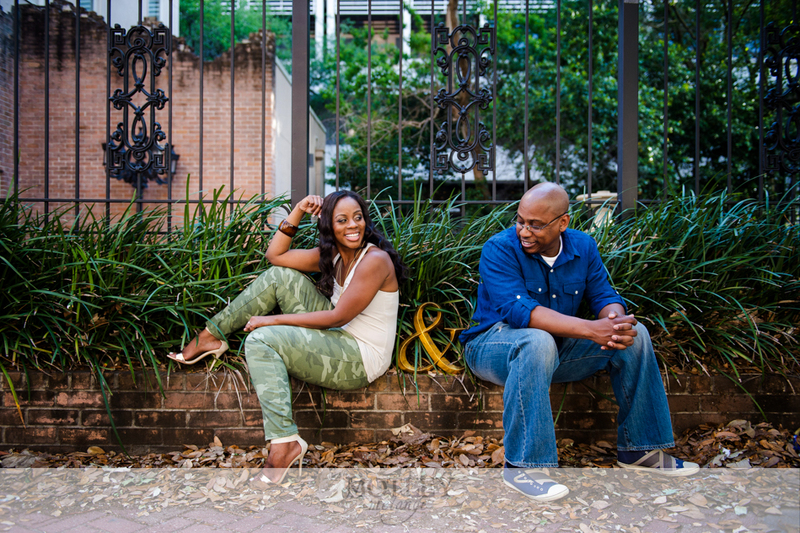 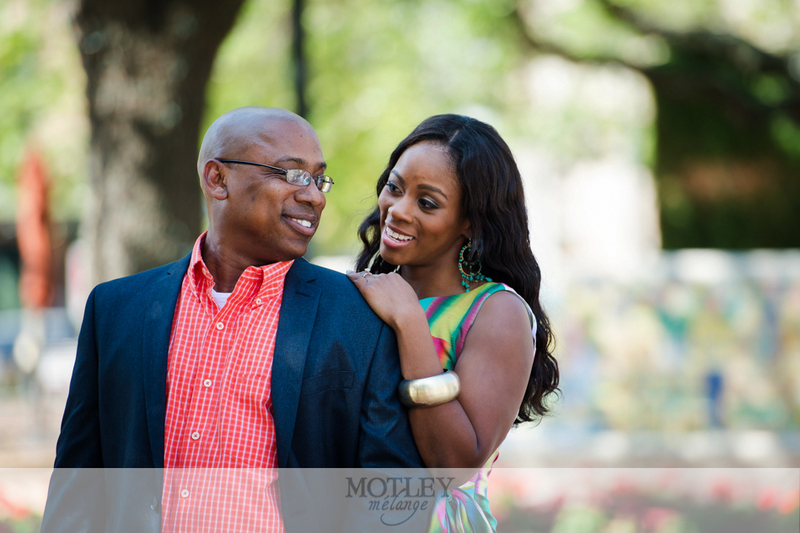 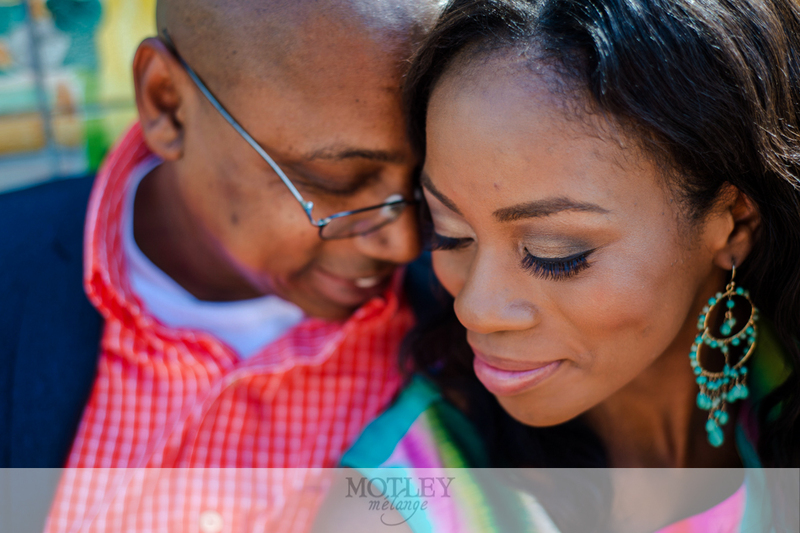 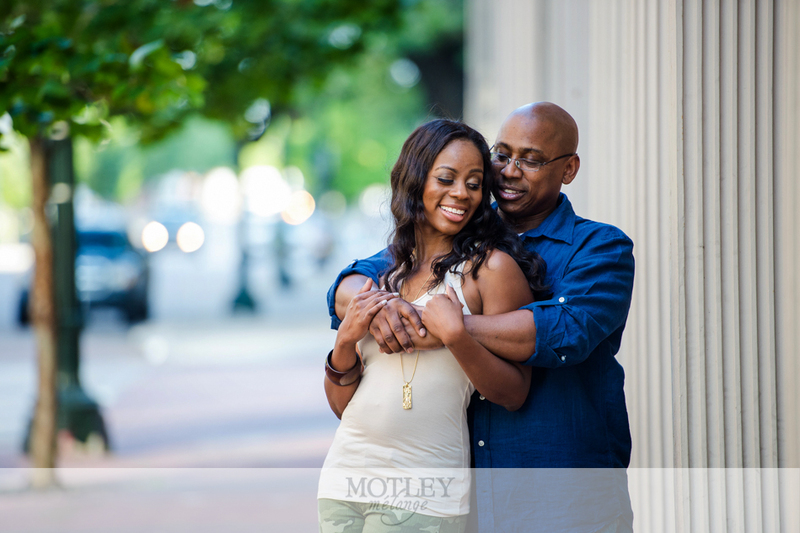 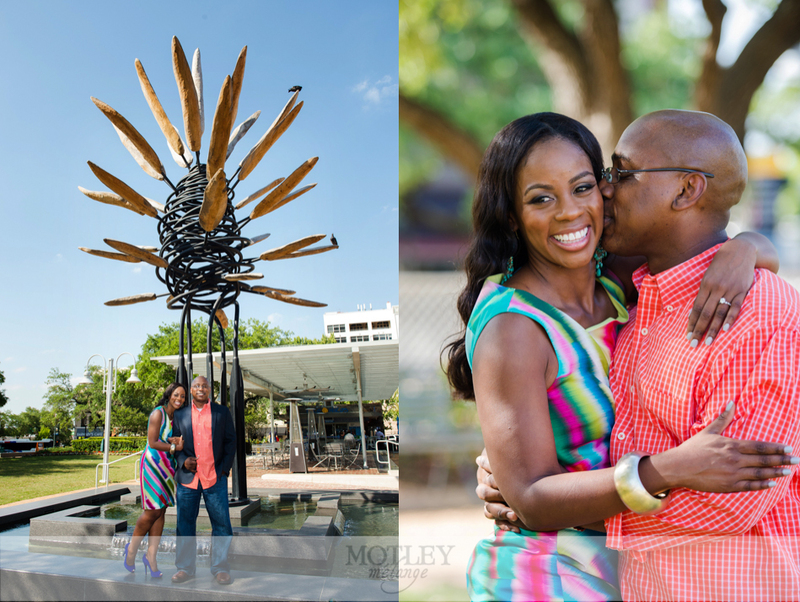 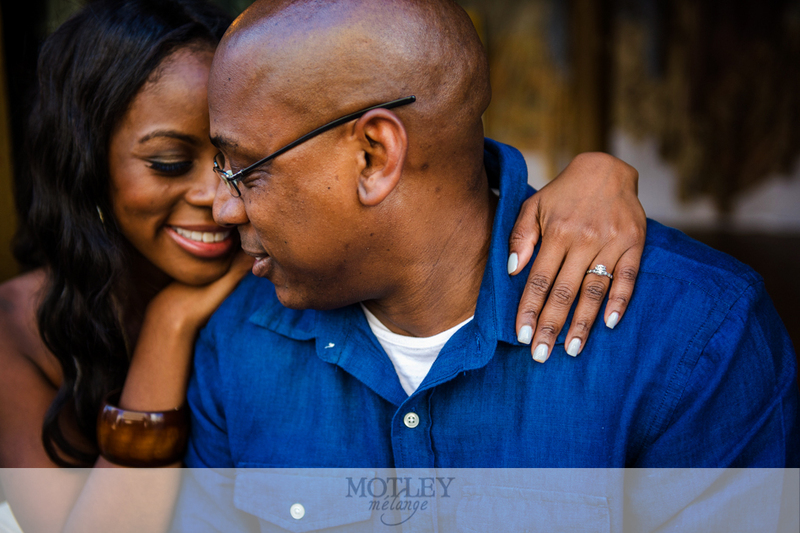 Houston Wedding Photographer: An urban engagement photos in Houston with two fantastic people! 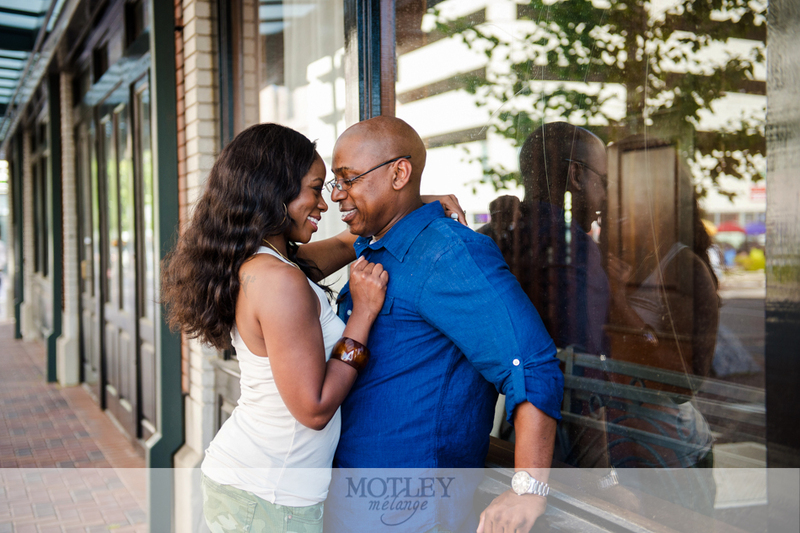 Shavonne and Roderick have a couple of the greatest smiles and we saw a lot of those pearly whites during this walkabout session this past Spring. 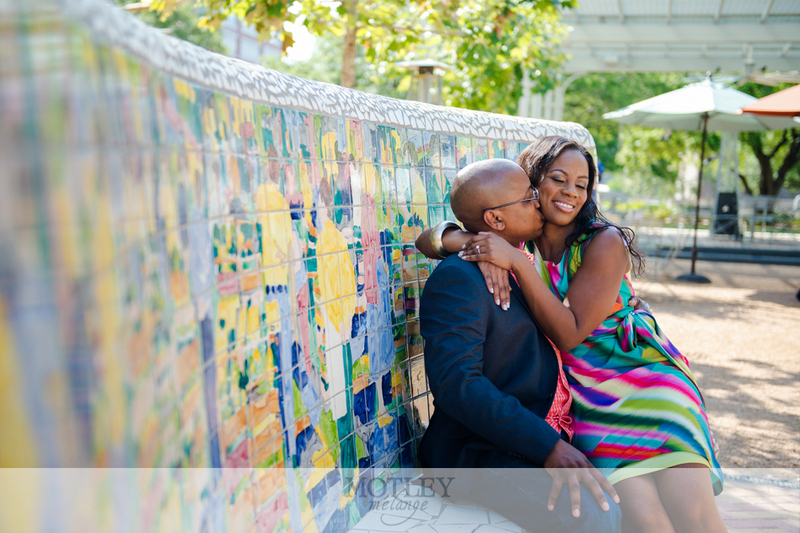 Shavonne is a girl who knows what she wants and when she said she wanted an engagement session full of color and urban elements, I was SO excited! 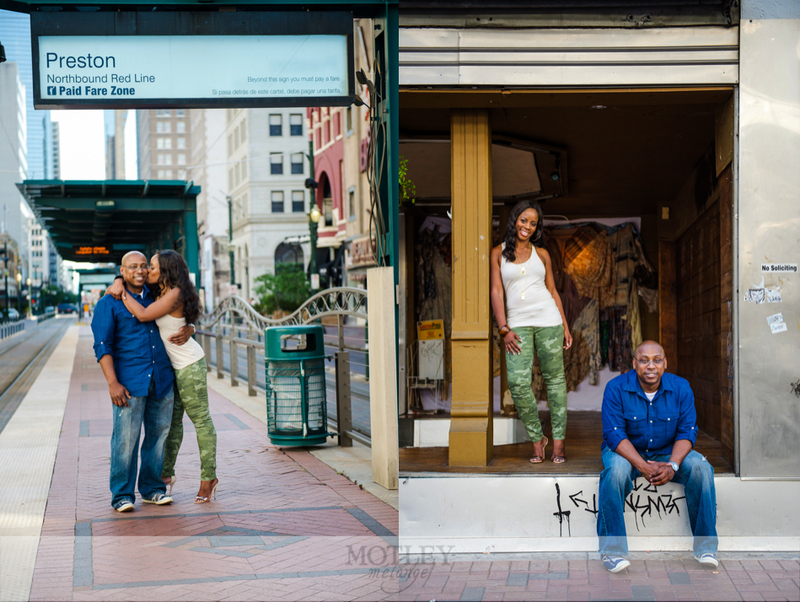 First of all, walkabout sessions–sessions where we have no beginning or end point and we just wing it until we get a ton of amazing photos–are our FAVORITES! 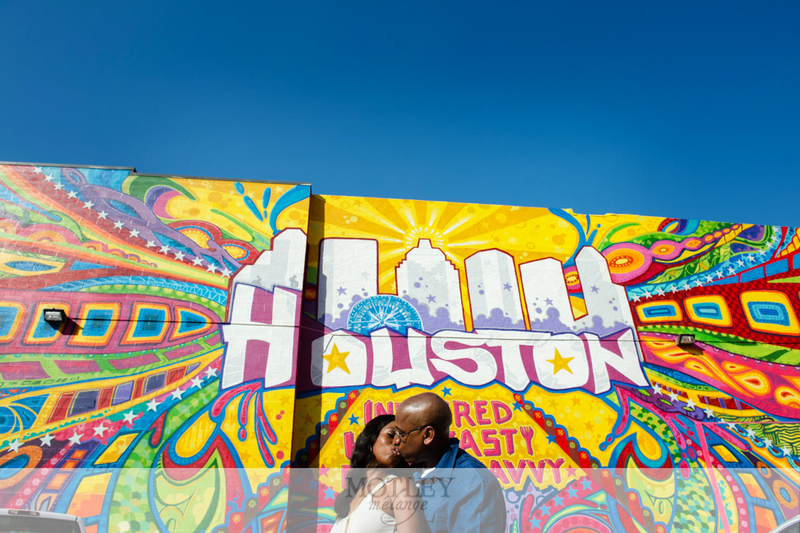 It allows for us to let loose and get creative with all of the fabulous, unique and hidden gems in the Houston area! 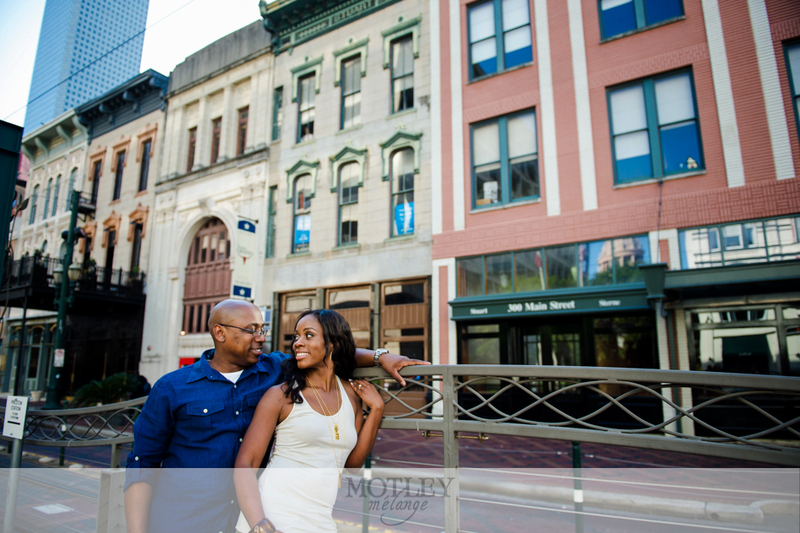 As Houston photographers, we get so many different backdrops to choose from for our engagements photo sessions. 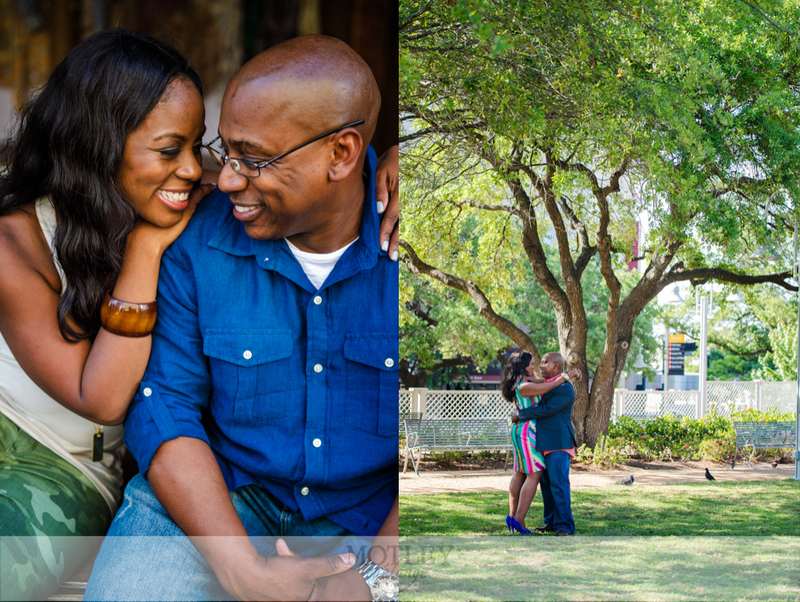 Hermann park is always a fan favorite, but when we get the chance to explore new places, we jump at the opportunity! 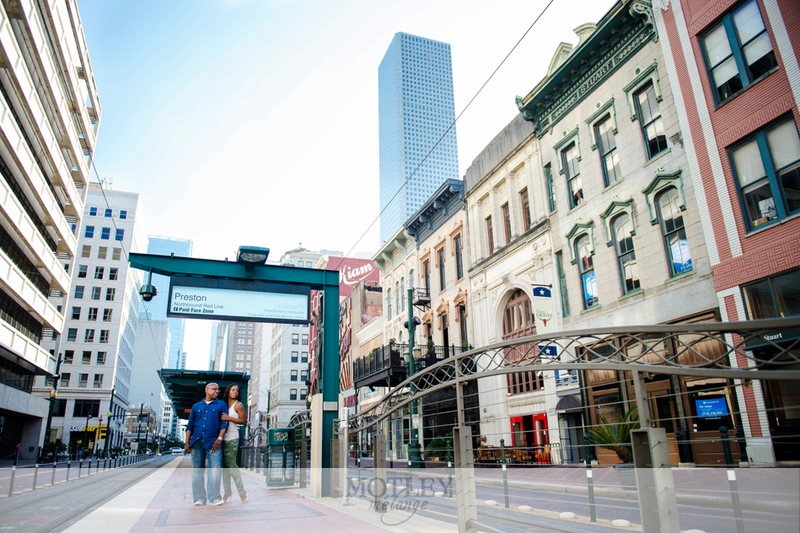 Market Square in downtown Houston and the surrounding streets made a fantastic backdrop for this late Spring session. 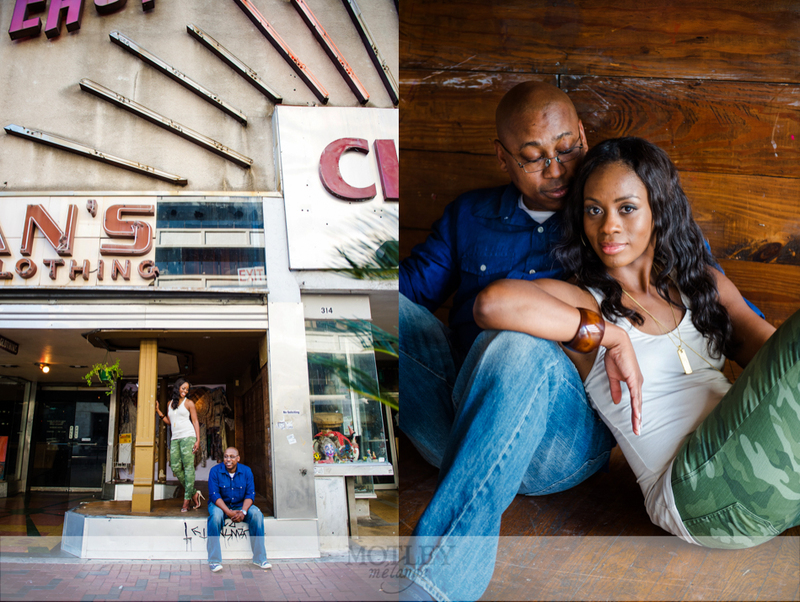 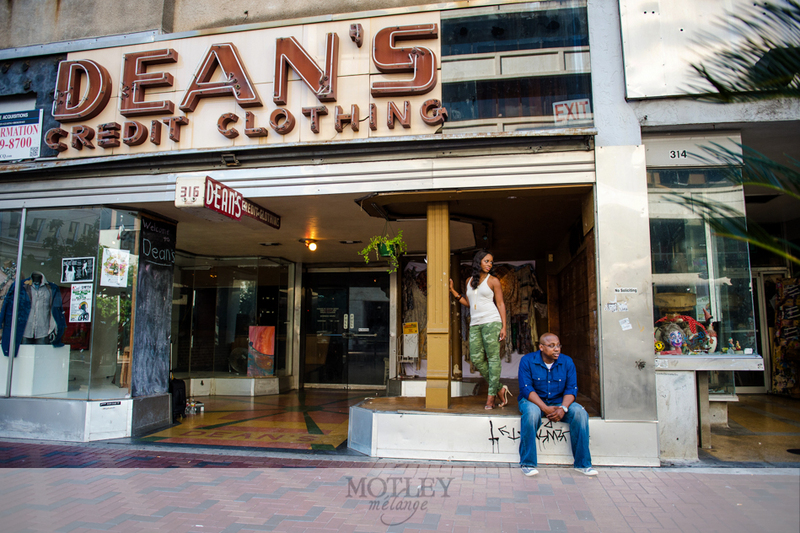 This location was all Shavonne & Roderick’s idea and I gotta hand it to them; they rocked it! 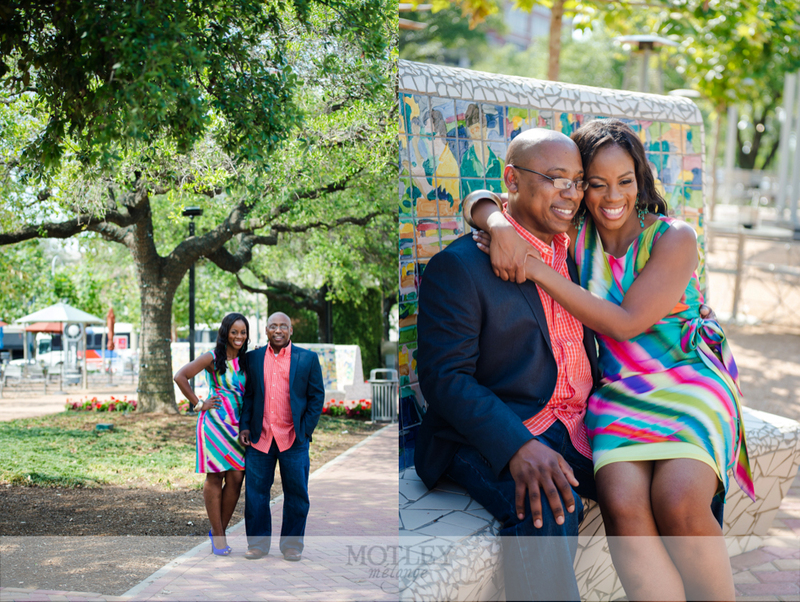 All these vibrant and bold colors! 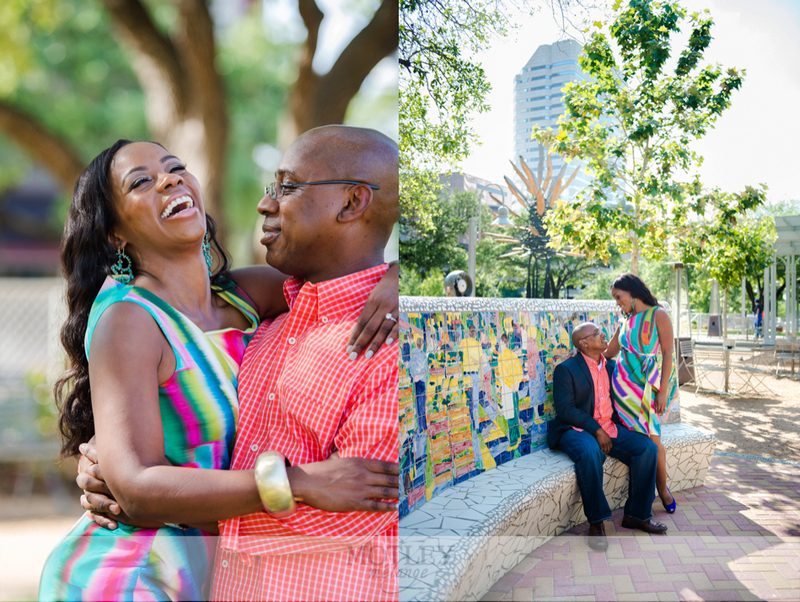 Shavonne did a spectacular job coordinating their outfits to represent the exact images she wanted out of her session and it all came together so well! 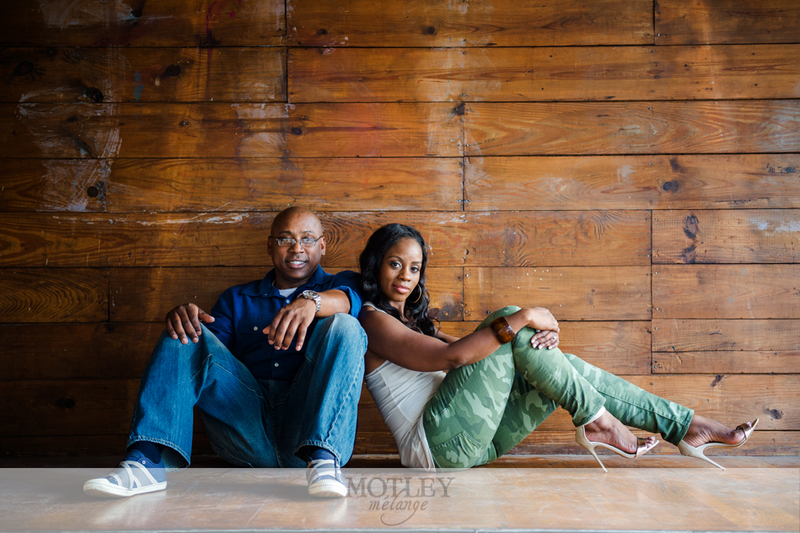 Kudos to these two for really rocking their shoot! 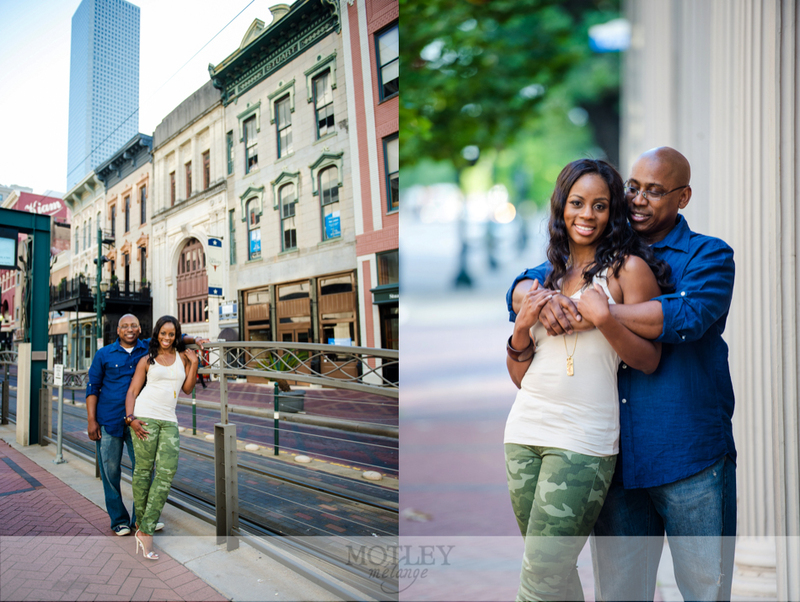 We CANNOT WAIT to shoot this couple’s sure-to-be-FABULOUS wedding at The Bell Tower on 34th this October! 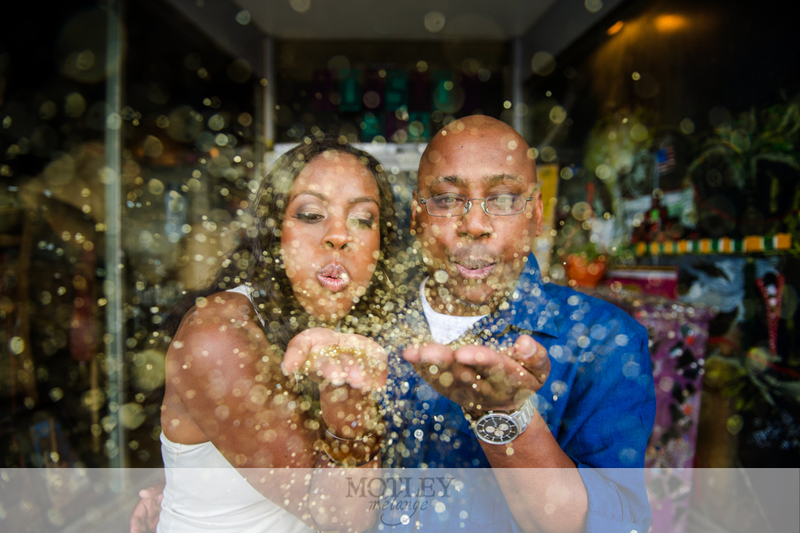 If I know one thing, it’s that Shavonne & Roderick’s taste is sure to make this wedding one to remember!